Do-it-yourself home repairs are nothing new, but in the years since reality television programs and home improvement networks such as HGTV began to gain popularity, the number of DIY repairs has increased dramatically. Oftentimes, these repairs can improve appearance or functionality for parts of your home for far less than a professional would charge. However, there are occasions when attempting at-home repairs without the guidance of an expert can result in additional time, headache, and money. DIY plumbing repairs are often an unfortunate example of this type of scenario. Too often, homeowners underestimate the level of expertise needed to tackle some common plumbing projects. When these repairs don’t go according to plan or are faulty, a professional must be called in to correct the problems. To avoid this situation, it’s important to understand the complexity of some repairs and which ones should never be attempted alone. Water Lines: Any repair which involves changes to the plumbing system or infrastructure of your home is always best left to a professional. These jobs are far more complex than leaky faucets and other small jobs, and they require a much higher level of expertise. This includes welding and pipe-fitting jobs which must be completed to perfection to avoid leaks, long-term water damage to the home, and even mold. Large Bathroom or Kitchen Renovations: Replacing fixtures and repairing leaky faucets are one thing. Installations of items such as new dishwashers are bathtubs are quite another. These jobs are major undertakings, and it is critical to make sure that drainage lines and water supply lines are properly installed. Even small errors can lead to leaks, overflows, and mold. Water Heater Installation: Among the many reasons that you should avoid installing your own water heater are the possibility of not getting the right one for your specifications and needs, ventilation issues, fittings for natural gas lines, and the possibility of voiding the water heater’s warranty by foregoing professional installation. Additionally, a professional may be able to determine if your water heater is simply in need of repair and save you the cost of a full replacement. 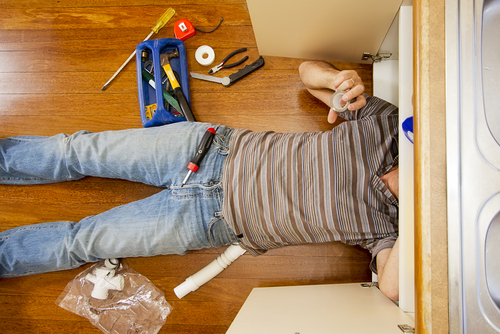 DIY repairs may seem the logical way to save on cost for large plumbing jobs. However, the risk far outweighs the reward. For some homeowners, these repairs may be completed to perfection, but for many more, problems may begin to appear that will cost even more time and money down the road. If you have a major plumbing repair to undertake, contact the professionals at Reliable Plumbing. We have been an industry leader in the Greater Baton Rouge area since 1984. Our master plumbers can evaluate your repair, giving a fair estimate of time and cost to get the job done right. Simply click here to contact us, or call us directly at (225) 929-9510. Few things are as disgusting as a bad odor in your home. (https://homesteady.com/way-5668359-home-remedy-bad-odor-house.html) Foul plumbing issues in Baton Rouge can cause smells that make life unpleasant for everyone around you and in some cases – the source of the odor may cause illness. The good news is, bad odors are easy to clean up with stuff you may already have on hand at home. Removing the source of a foul odor is the best home (https://homesteady.com/way-5668359-home-remedy-bad-odor-house.html) remedy. This may sound obvious for garbage stinking up the trash can, but it could be something else, like food debris in your sink. To eliminate odor coming from your sink, run ice cubes and squeeze lemons or oranges down your drain while running the disposal for about 30 seconds. Then, follow up by squirting liquid dishwashing detergent while the disposal is running. Finally, run cold water down the drain to clear leftover debris and your sink should be left odor free. If needed, follow with a couple tablespoons of baking soda. Try putting out boxes of activated charcoal or baking soda in malodorous rooms. These safe and inexpensive (https://homesteady.com/way-5668359-home-remedy-bad-odor-house.html) powders absorb impurities in the air, while cleaning the odors away. Change the boxes out every few days to insure freshness and repeat as necessary to control odors. and half water is an effective aerosol mist. Use it to absorb odors in the air, by spraying the solution in a stinky room with a regular household sprayer. Not only does vinegar clean, it has its own smell that will mask bad odors. If your dog brings in the aftereffects of his encounter with the skunks in your neighborhood, use a citrus-based product to remove the offending odor. Skunk spray is oil-based, so the treatment must dissolve the oils; citrus is effective at breaking up oil, and it has its own pleasant aroma. Sometimes, foul odors cannot be removed, but they can be lessened by masking them with another, more powerful scent. Flowers, plugins, potpourri, heated oils, scented candles, and cedar shavings are all effective odor-masking strategies. To avoid having your nose assaulted by one, all-powerful aroma, use a variety of pleasant scents to diffuse the air and cover up the smell. For more information on getting rid of unwanted smells, contact Reliable Plumbing today! In a lot of ways, the era in which we now live could be referred to as the do-it-yourself era. All it takes is a search engine and a little time, and you can find out solutions to nearly any problem, from the most efficient techniques to clean your kitchen to the best ways to keep insects out of your home. What many homeowners don’t realize, however, is that some things are better left to the experts. One of these is plumbing repair. Although you may believe that most problems can be solved by switching out a pipe and pouring some drain cleaner down your sink, you could be heading into some very dangerous territory indeed. Let’s look at some facts about plumbing repair and why most jobs should be completed by a professional. This should go without saying, but it’s definitely important to note. Many homeowners have a can-do attitude. After all, we all want to be handy around the house. Not only does it make us feel more accomplished and involved with the daily goings-on of our home, fixing problems yourself can save you a substantial amount of money. Plumbing, however, is a very specialized field. Most of the time, they require a lot of patience and hard work, not to mention the basic knowledge that’s needed to handle whatever situations may arise. When something goes wrong with your home’s plumbing, there’s a good chance that you may be looking at a considerable cost to get it fixed. This is one reason why some homeowners will attempt to rectify the problem themselves. Unfortunately, this can lead to more serious issues. Why? Because a do it yourselfer hasn’t had the necessary training to do a safe, reliable job. You may wind up saving a lot more money in the long run by hiring a professional straight away. A professional plumber has spent a substantial amount of time learning the trade. 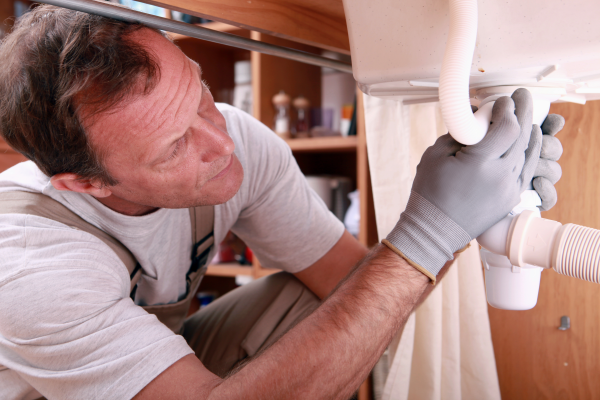 The ins and outs of plumbing repair take considerable time and dedication. And most times hiring a plumber isn’t as costly as you might think. It’s worth at least getting an estimate. Many of us fancy ourselves doers. We want to fix our own cars, build our own fence, and repair our own plumbing. Regardless of how difficult a plumbing job can be, a number of homeowners will tackle it despite their lack of knowledge, and when they run into a problem, it’s too late. At that point, with your pipes in a shambles and your water turned off, you realize that perhaps this wasn’t the best idea. Any problems that you create will likely make matters worse, and this can cost you even more. And if you do fix the issue, what guarantee will you have that it’s been done to an acceptable standard? The answer is, absolutely none. In regards to a professional plumber, the exact opposite is true. In addition to the aforementioned expertise that a plumber brings to the table, or in this case pipes, he or she also brings a guarantee for the work. If an issue crops up after the work has been completed, you’re covered. If a mistake is made during the work, you’re covered. By hiring a professional, you can be sure that the job is done right. Reliable Plumbing is a well respected and trusted expert in Baton Rouge. If you are in a tight plumbing spot or have any questions, call Reliable Plumbing at (225) 929-9510. You can also download the free guide to help you decide on choosing a plumber. Remodeling or moving plumbing might require a permit. Professional plumbing companies know exactly what the building codes are for your city and state. The shower valve (not the handle) controls hot and cold water. Don’t take the chance on damaging your shower walls. It’s time to call your plumber. If sewage backs up into the shower, it may be a problem with the main line. Only a professional plumber has the expertise and specialized equipment to make the fix. Any water heater repair requires a plumber, because so many things can go wrong during the repair process. An article provided by the Houston, Texas Better Business Bureau (BBB) (https://www.bbb.org/houston/industry-tips/read/tip/how-to-choose-a-plumbing-company-26) offers some tips to selecting the right plumbing company for your home or business. All plumbers are required to be licensed by the state. Request proof of licensing. Ask for verification of workman’s comp and liability insurance. How long has this company been in business? Is this company a valued business within your city and community? Stability and commitment to the area in which your plumbers also live and work is indicative of excellent service. Quotes are clear, concise, and worst-case-scenario based, whether it’s a time-and-materials or a flat-rate quote. In other words, your plumbing company doesn’t throw any curveballs and if possible, will bring the job in under the quote. There should not be additional fees for equipment, etc. That should be included in the quote. If the plumbing company contractor mentions how swamped they are or can’t start your job in a timely manner . . . or the time quoted to finish the job seems a bit lengthy, run, don’t walk! Of course, this does not apply to local and state emergencies, like hurricane and flood damage, when plumbing companies are inundated with hapless victims’ requests for assistance. Is your plumbing company knowledgeable about energy-saving, green plumbing options? The answer should be, “Yes!” Going green will lower your water bill, and there are tax incentives for installing solar water heaters. Then, there’s the main reason to go green: We want to clean up and preserve our environment. Your plumbing company should not be limited to a few brands; they should be able to work with whatever name-brand you want. For example, you may prefer Grohe fixtures for your bathroom or kitchen. If your plumbing company cannot assist you with that brand, then it’s not your plumbing company. Whatever brand you or your plumber chooses, make sure the fixtures have the Uniform Plumbing Code (UPC) and/or National Sanitation Foundation (NSF) stamps. Your plumbing company should be able to provide a warranty for service; perhaps one for fixtures and one for installation labor. Reputable plumbing companies belong to trade organizations, like PHCC (Plumbing-Heating-Cooling Contractors) and the BBB or Chamber of Commerce. Word of mouth matters. Ask your neighbors, business associates and friends what plumbing company they recommend, based on their experiences. At Reliable Plumbing, we care enough to be available to you 24 hours a day, every day. Our residential, commercial, and industrial clients are our friends and neighbors in Baton Rouge. Call 225-929-9510 or contact us (https://www.reliableplumbinginc.com/contact.php) for additional information. As a homeowner, you are a responsible for taking care of any problems that arise with your residence. This includes hiring the right people to do whatever job you need to have done. There are a lot of do-it-yourself instructional manuals and videos out there, but when you have a job that must be done by a professional, it is important that the company that you choose is prepared. Hiring a plumber can be a tricky affair. And when hiring a plumber in Baton Rouge, you don’t want someone who will cost you an arm and a leg for little work, but you also don’t want someone who isn’t experienced. 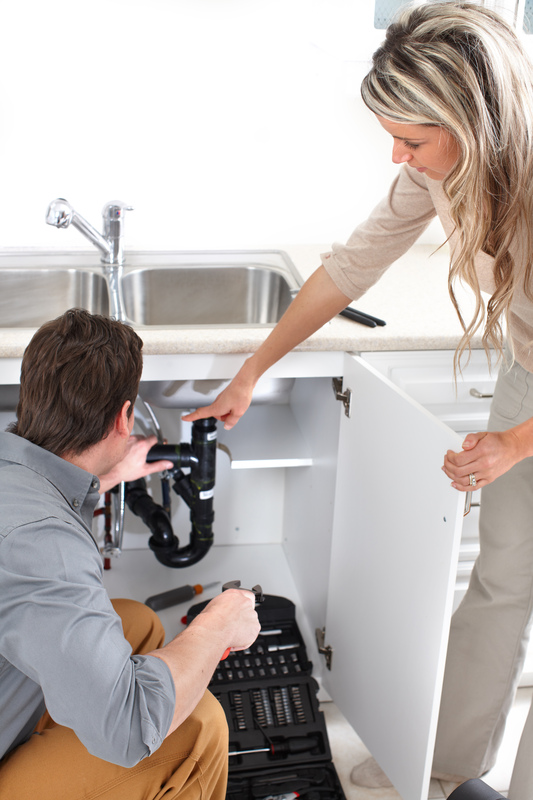 (https://www.reliableplumbinginc.com/about_us.php) Right off the bat, however, there are ways to know whether or not a plumber is prepared before you hire them. No professional plumber worth his weight in copper piping is going to scoff at your request for references. (https://www.reliableplumbinginc.com/testimonials.php) Plumbers realize that hiring the right person is your number one priority. A real professional will have no problem providing you with a list of customers whom he has done work for. Your best bet is to ask for references obtained in the past month or so. While you might think that a clogged pipe or leaky faucet is a big job, a professional plumber will find most jobs to be rather routine. You will want to make sure that the plumber you hire has the appropriate tools to do the job right the first time. A plumber should show up with a truck full of supplies to handle most jobs, including the replacement of certain parts. Of course, if you hire someone and he says that he will need to purchase a specific part, don’t automatically assume that you’ve made a bad choice. Every job is different, and if you have a unique circumstance or a hefty problem, more supplies may be required. The rule of thumb is “one job, one visit,” but this rule can be bent if the situation warrants it. You’ll want to use your best judgment for this one. When it comes to a plumbing issue, especially something big like a flooded basement or burst pipe, a plumber knows that you will want to have service done as soon as possible, and he should be prepared to abide when you have a plumbing emergency. But you must take into consideration that he has other clients, and one or more of those clients might have a similar issue. Yes, a good plumber should be able to give you an ETA you can count on, but if he’s a little late, don’t think bad of him. After all, you don’t want him to rush on the job you’re asking of him, so don’t expect him to rush on his previous job just to get to yours. A professional plumber should have the ability to explain what kind of work needs to be done on your house without using too much technical jargon. He should be able to educate you on exactly what kind of work he expects to be doing, what tools he will need, and how long it will take. He should also be able to explain any concerns he has with the job he’s about to perform, or share any tips he might have on how to avoid the issue in the future. Of course, there’s no reason for him to give you a dissertation on every detail of his work, but if he is reluctant to provide you with the details you want, he might not be a good fit. We know that Reliable Plumbing (https://www.reliableplumbinginc.com/index.php) in Baton Rouge is the right fit for your next plumbing project. Click here(https://www.reliableplumbinginc.com/contact.php) to contact a Reliable Plumbing team member today. Having hot water is no longer a luxury, but a rather it is a necessity. In fact, a majority of home owners are having their bulky and inefficient old water heaters replaced with the new, instant tankless water heaters (https://www.reliableplumbinginc.com/hot_water_heaters.php) for their home. With the rising cost of energy and the escalating interest in household technology, the concept of the on demand tankless water heating has become a very popular trend in the residential sector. The overall principle of the tankless water heater is to only heat water “on demand” or as needed. With the on demand type of supply, the need for an old, bulky and inefficient storage tank is essentially eliminated. 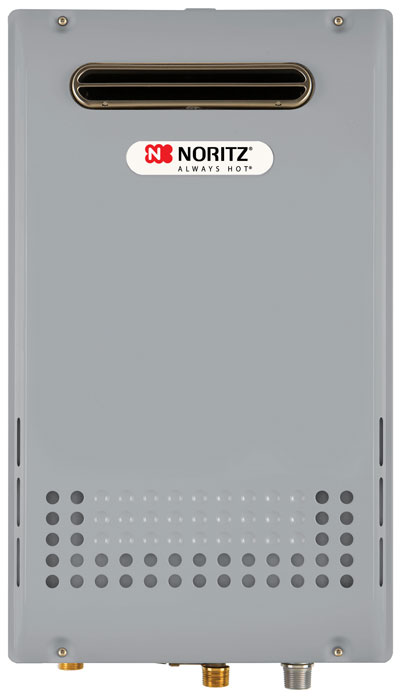 All of the shortcomings of a conventional water heater are addressed by the new and efficient tankless system. At Reliable Plumbing, (https://www.reliableplumbinginc.com/index.php) we have developed a list that outline the benefits to installing a tankless water heater in Baton Rouge. Save Money and Increase the Hot Shower Frequency! – Cut Water Heating Cost In Half – Tankless water heaters heat entirely on demand or only when hot water is needed. The on demand aspect eliminates the need for hot water storage, which essentially removes thermal heat loss. No More Cold Showers!! – Tankless Water Heaters can run hot water all day long, if necessary. Tankless heaters will never stop producing hot water since they heat water instantly on demand. Think about that the next time you are taking a shower, because the dish water had just run in your home. Decreased Chance of leaking – With the tankless heater, the hot water is not stored. Therefore, the tankless water heaters generally handle hard water minerals and sediments much better than conventional tanks. This means the tankless heaters will be far less likely to leak or rupture, and able to maintain efficiency throughout their whole lifecycle. Durability and Reliability – Most brands of Tankless water heaters can last more than 20 years. Size and space – Most of the tankless water heaters on the market for residential homes are about the size of a briefcase (electric units). This eliminates bulk and saves valuable storage or floor space for the homeowner. Are you tired of taking cold showers? Or, Maybe you are tired of looking at that old, bulky and inefficient hot water storage unit that you currently own. At Reliable Plumbing, have the answer. Never take another cold shower again. Click here to take the first step towards installing the tankless water heater.  We offer affordable and professional plumbing services to Baton Rouge and surrounding areas in Louisiana including Baker, Zachary, Walker, Denham Springs, Gonzales, Prairieville, Port Allen and LaPlace LA. Services include trenchless plumbing, garbage disposal units, clogged sewers, jacuzzi, tubs, repipe jobs, sewer lining and video inspection. Residential, commercial and industrial plumbing services include sale and installation of fixtures such as faucets, sinks, bathtubs and shower heads.